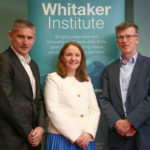 Professor Mary Cawley is Adjunct Professor of Migration and Rural Societal Change in the Whitaker Institute and a former Senior Lecturer in Geography. Her research interests relate to the geographies of rural social and economic change. Under these headings, she has investigated issues relating to agriculture, population, services and tourism, supervised doctoral research and supervised funded research projects. Her research is published in peer reviewed journals, as chapters in peer reviewed books, as book length texts and as published, peer reviewed, reports. On-going research projects focus on two themes: migration to and from Ireland; and networks and embeddedness in rural tourism. Mary has been a member of research teams for projects funded under four EU Framework Programmes (CAMAR, AIR, FAIR3, FP5- being a PI for the latter two), and PI for projects under the Ulysses programme, the National Parks and Wildlife Service and for four projects funded by the Irish Higher Education Authority Programme of Research in Third Level Institutions (PRTLI) 2, 3 and 4. She coordinated the Social and Economic Impacts Research Cluster in the Environmental Change Institute between 2000 and 2010 and currently coordinates (with Dr Valerie Ledwith) the Population and Migration Research Cluster in the Whitaker Institute. She is a member of the Steering Committee of the GIS Centre in the Ryan Institute. Mary holds the degrees of BA and MA (by research) from the National University of Ireland and the degree of PhD from the University of London. She has held Senior Fulbright Fellowships at Pennsylvania State University on two occasions and has been a visiting scholar and lecturer at the Karelian Institute, University of Joensuu, Finland, the Hungarian Academy of Sciences, Pécs, the University of Toulouse, Le Mirail, France and Brandon University, Manitoba, Canada. Her administrative experience includes being Vice-Dean of the former Faculty of Arts, acting Head of Geography and former Honorary Secretary and President of the Geographical Society of Ireland. She served as Honorary Secretary and Newsletter Editor for the founding Irish Fulbright Alumni Association. In 2013-2015, she was a member of the scientific committee for international rural conferences in France, Germany and Portugal. She is a member of the Steering Committee of the Commission on the Sustainability of Rural Systems of the International Geographical Union. My research interests relate to the geographies of rural social and economic change with particular reference to migration and rural tourism. (1995) Farm Diversification: Studies Relating to the West of Ireland. (2004) Quality Irish Regional Products and Services: Their Promotion and Marketing ISBN 900009242. (1983) Agricultural Development in the West of Ireland, 1970-1980. (2013) The Sustainability of Rural Systems: Global and Local Challenges and Opportunities (on-line edition 2016). (1986) Demographic Issues: Migration and Ethnic Minorities. (1984) Change and Development in Rural Ireland, Special Publication No 1, Geographical Society of Ireland. (2007) Review, The City's Hinterland: Dynamism and Divergence in Europe's Peri-Urban Territories. Edited by Keith Hoggart, Regional Studies 41(5). (2006) Review, Second homes: European perspectives and UK policies- Nick Gallent, Alan Mace and Mark Tewdwr Jones, Journal of Rural Studies 22 (4). (1999) Review, The Vanishing Irish: Households, migration, and the rural economy in Ireland 1850-1914. By E.W. Guinnane (1997), Journal of Historical Geography. (1996) Review, After the Famine: Irish Agriculture 1850-1914, by Michael E. Turner. Irish Geography 29(1). (1996) Review, Europe's population towards the next century. Authors, Hall, R, White,P. Regional Studies 30(3), 315-6. (1995) Review, Irish Tourism Development, Special Publications No. 9, Geographical Society of Ireland, 1994. J.A. Walsh. Irish Geography 28(1). (1992) Review, Local Economic Development and Administrative Reform - Walsh, J. A. (1991) Review of The Rural State - Limits to Planning in Rural Society - Cloke, P., Little, J. (2000) The institutional role in SME development: a conceptual approach . Annual Conference of Irish Geographers, Queens University, Belfast. (2014) Knowing, acting, being in engaging the curriculum: evaluating the Tourism Area Life Cycle Model in Salthill. (2003) 14 separate entries in The Encyclopaedia of Ireland. (2002) Landscape and population in Ireland. Irish Studies Programme, University of Maine at Orono. (2013) What remains of the Celtic Tiger in the Irish countryside?. (2013) Immigration to rural Ireland: the distribution of Polish and Lithuanian migrants. (2009) Adding value through integration: a strategic approach to rural tourism development with examples from Ireland. Brandon University Tourism Research Week 2009. (2000) Rural development in the West of Ireland: the LEADER programme. EU Joint Training Programme, Hungarian Academy of Sciences and International Training Centre for Bankers, Budapest, and NEI BV Rotterdam. (2000) Rural development in a changing EU context. EU Tempus Training Programme, Hungarian Academy of Sciences, Nagykanizsa, Hungary. (2003) The rural idyll: continuity and change in the countryside, McGlinchey Summer School, Clonmany. (1996) Newsletter Report. Geography in the Junior Certificate Curriculum, Geonews 38, 15-16. (2000) Craft producers on the Celtic fringe: marginal lifestyles in marginal regions? Paper presented at the 15th Conference of the International Society for the Study of Marginal Regions, Newfoundland. (1987) Outpatient clinics at the Regional Hospital Galway: the experience of the elderly Abstract. (2002) The rural idyll, RTÉ Thomas Davis Lecture. (2005) Visitor Survey Connemara National Park: REPORT. Department of Geography and Environmental Change Institute, NUI, Galway Confidential report submitted to the National Parks and Wildlife Service. (2004) Deliverable 15, SPRITE project QLKS-CT2000-01211, Department of Geography, NUI, Galway. Report submitted to DG for Research EU Commission Brussels. (2004) Deliverable 20, SPRITE project QLKS-CT2000-01211, Department of Geography, NUI, Galway. Report submitted to DG for Research EU Commission Brussels. (2004) Deliverable 21, SPRITE project QLKS-CT2000-01211, Department of Geography, NUI, Galway . Report submitted to DG for Research EU Commission Brussels. (2004) Deliverable 14, SPRITE project QLKS-CT2000-01211, Department of Geography, NUI, Galway . Confidential report submitted to DG for Research EU Commission Brussels. (2004) Deliverable 19, SPRITE project QLKS-CT2000-01211, Department of Geography, NUI, Galway . Report submitted to DG for Research EU Commission Brussels. (2004) Deliverable 12, SPRITE project QLKS-CT2000-01211, Department of Geography, NUI, Galway. Report submitted to DG for Research EU Commission Brussels. (2003) Deliverable 10, SPRITE project QLKS-CT2000-01211, Department of Geography, NUI, Galway . Confidential report submitted to DG for Research EU Commission Brussels. (2003) Deliverable 8, SPRITE project QLKS-CT2000-01211, Department of Geography, NUI, Galway . Confidential report submitted to DG for Research EU Commission Brussels. (2003) Deliverable 9, SPRITE, project QLKS-CT2000-01211, Department of Geography, NUI, Galway . Confidential report submitted to DG for Research EU Commission Brussels. (2002) Deliverable 7, SPRITE project QLKS-CT2000-01211, Department of Geography, NUI, Galway . Confidential report submitted to DG for Research EU Commission Brussels. (2001) Deliverable 2, SPRITE project QLKS-CT2000-01211, Department of Geography, NUI, Galway . Confidential report submitted to DG for Research EU Commission Brussels. (2001) Deliverable 3, SPRITE project QLKS-CT2000-01211, Department of Geography, NUI, Galway . Confidential report submitted to DG for Research EU Commission Brussels. (1982) Socio-Economic Impacts of Industrialisation in Gaeltacht Areas. (2009) Review, Europe's City-Regions Competitiveness: Growth Regulation and Peri-Urban Land Management, Edited by Nathalie Bertrand and Volker Kreibich. JOURNAL OF RURAL STUDIES 25(10). (2000) Local governance, territorial structures and the renewal of local government. Invited Seminar, Department of Environmental Studies, University of Ulster, Coleraine. (2010) Social networks and networking: implications for research. 4Sight Presentation to Strategy Committee, Ryan Institute, NUI Galway Orbsen Building NUI Galway. (2005) Economy, Society and Environment- the Research Programme of the ECI Social and Economic Impacts PRA. (2003) Social and economic environmental aspects of change in rural areas. Seminar, Environmental Change Institute. (2014) GIS research applications in the College of Arts, Social Sciences and Celtic Studies NUI Galway. I am now an emeritus member of Geography and am not actively involved in teaching. When teaching, my interests related to the geographies of contemporary rural social and economic change in a European context with reference to global influences. My teaching was informed by theory and illustrated by examples, some of which came from my own involvement in national and international research projects. I also contributed on methods of research in human geography and to field based learning activities as part of modules and as stand alone modules. I taught on all three years of the undergraduate programme and contributed to MA programmes in Environment, Society and Development and Rural Sustainability and have, at various times in the past, contributed specialist modules to other postgraduate MA and PhD taught programmes.